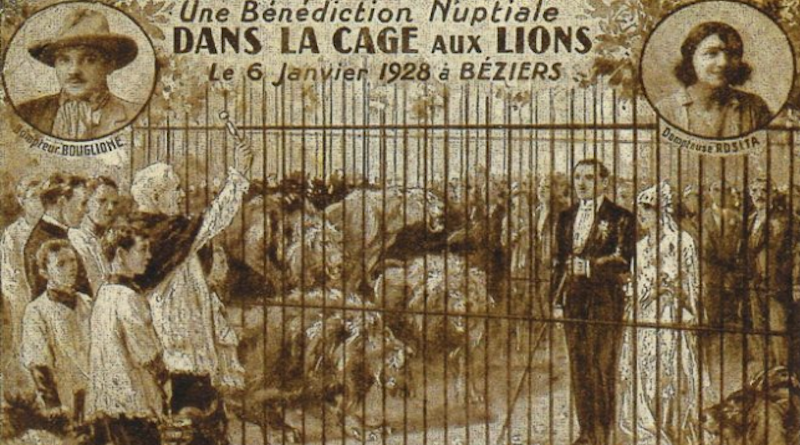 When Rosa Bouglione was married inside a lion’s cage, the pastor, despite his best efforts, was made to stay outside. It wouldn’t have been much of a wedding had he been mauled. It was only appropriate that this was where Rosa had chosen to be married. After all, she had started her career inside a lion’s cage, working as a serpentine dancer, in her mid-teens. This was the circus life into which she was born, in the back of a horse-drawn caravan in Belgium in December 1910. Her father was an animal trainer with the family outfit, Ménagerie Van Been, and they toured Europe alongside their snakes, bears and lions. “I was born in a caravan, and that’s where I left my heart,” Rosa would later write in her autobiography. Aged 17, however, there was another contender for her heart: she fell for a man from another circus family, Joseph Bouglione, whom she said reminded her of a cowboy, and the two were married among the lions. Link to Full Article on BBC News.